I might be at the point where my past impressions of the Amazing Spider-Man “Learning to Crawl” miniseries have impaired my ability to fairly judge the remaining two issues. 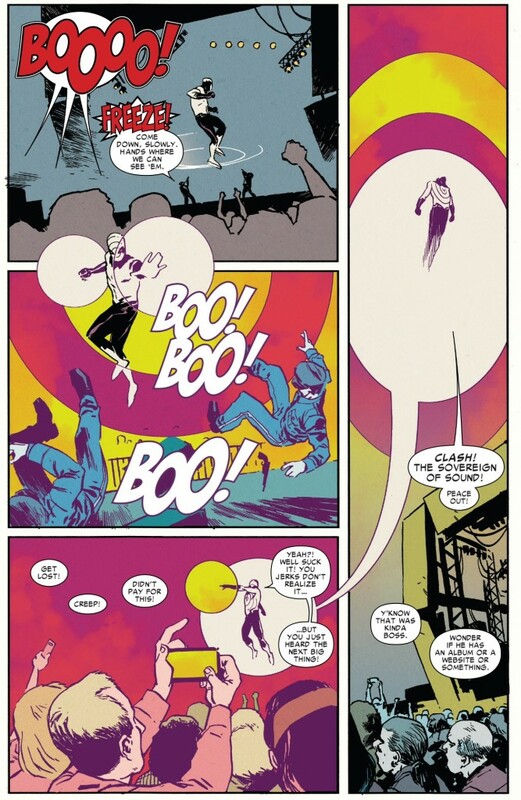 Little things that somewhat irritated me in issues #1.1-1.3 (its over-reliance on readers knowing everything that happened during Spider-Man’s first three appearances in the early 60s, the book’s reluctance to effectively redefine or reimagine anything about Spidey’s origins, and its inconsistent characterization of the new Clash character) are flat-out frustrating me now and sucking any remaining joy I might have for the series. As a result, I find myself in the dreaded “going through the motions” phase of reading this book – picking it up each month because it’s a new Spider-Man and that’s what I do, but not necessarily enjoying it. That’s actually quite a damning indictment and one that I’ve arrived at rather unexpectedly. 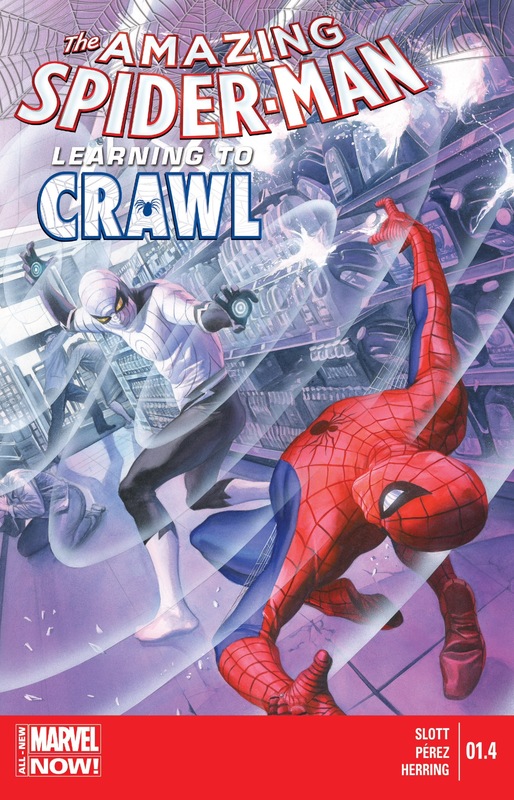 When “Learning to Crawl” started in May, it had the makings to be a fun, reverential spin on Spidey and how he evolved into the hero we know and love today. But as the series progresses, I don’t feel we’re any closer to learning that information. I have enough respect and admiration for Dan Slott to say that I’m sure he knows what he’s ultimately trying to accomplish via “Learning to Crawl,” but I can’t really say to that I “buy in” to what he’s pushing. ASM #1.4 continues in the style of its “Learning to Crawl” predecessors by not being able to get out of its own way in terms of trying to tell a new kind of Spider-Man story, while simultaneously not wanting to step on the toes of those Silver Age classic issues. What we are left with is a paradox of sorts: a series full of big consequential, “game-changing” moments in Spider-Man’s history (especially as it pertains to his relationship with Clayton “Clash” Coles), but moments that, in the long run, we know are inconsequential. 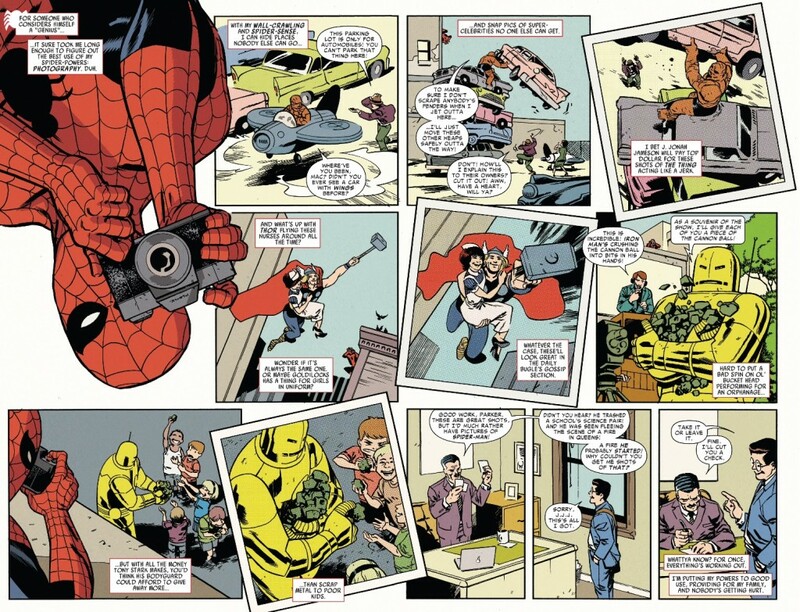 The Stan Lee/Steve Ditko run on ASM is so tight, and so iconic, its preposterous to accept that there was really any more to know about Peter/Spidey’s story, as this miniseries indicates. But I also don’t get the sense that Slott wants readers to view this story as anything more as window dressing. Ultimately, “Learning to Crawl” lacks the commitment and convictions required to make a choice between being a brand new take on the character a la “Batman: Year One” or modern retelling of the same old story a la Spider-Man: Chapter One. It’s kinda just “there” right now and nothing more. Throughout ASM #1.4, Slott attempts to shine light on some of the big emotional beats of Peter’s earliest days, but it’s difficult to get too invested in what he’s doing because, again, the vast majority of this terrain was covered in more memorable fashion by Lee and Ditko. 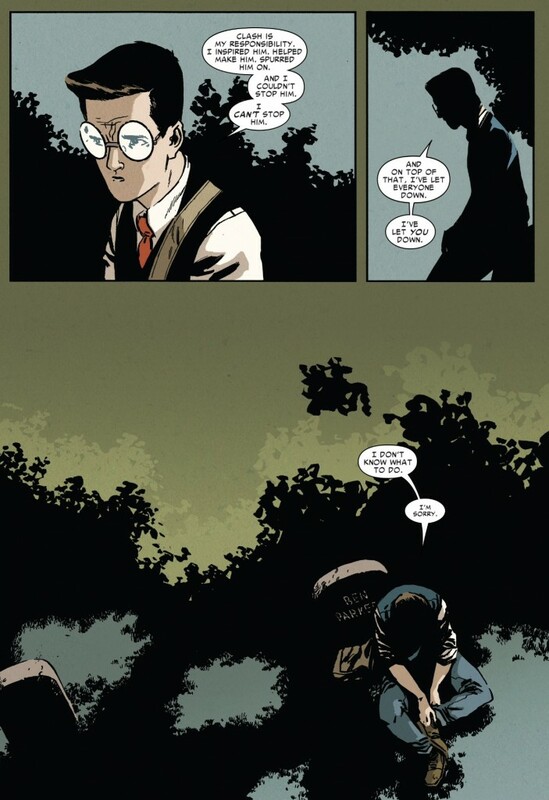 We get an explanation as to why Peter was never even friends with the “geeky” AV kids (because he got caught stealing their equipment to create something to fight Clash as Spider-Man), but “Learning to Crawl” doesn’t bother to truly delve into how these interpersonal connections emotionally affected Peter. I think that’s a real missed opportunity because we have another instance where Peter being Spider-Man has led to him being abandoned in some way. But instead, characters are introduced for the sheer purpose of being removed from the equation. I don’t even think half of these kids had names, and if they did, they certainly didn’t have any distinct personalities that would make them stand out to me as a reader. The issue ends with Peter at rock bottom, sitting at Uncle Ben’s graveside and wondering what he can do with his life so that he’s not always such a failure. That’s actually a pretty interesting moment for Slott to explore, but here’s where the pratfalls of setting “Learning to Crawl” in the middle of long-established continuity comes into play. If ASM #1.4’s ending is taking place somewhere around the time after ASM #2, then Peter’s epiphany is redundant with what he experienced after battling (and losing) to Doctor Octopus in ASM #3. Those who never read that original issue should note that after he was humiliated by Ock, Peter was ready to quit being Spider-Man before a pep talk from the Human Torch inspired him to never give up and come up with a new way to defeat Otto. Since both storylines are effectively concurrent with each other, which was the “a ha” moment for Peter, losing to Clash or losing to Doc Ock? Not to be a jerk, but I’m going to go with Lee/Ditko. Meanwhile, Clash’s characterization continues to change with every issue, as he’s especially dark and sociopathic in ASM #1.4. After battling his new “nemesis” Spider-Man at the science fair, the kid is now crashing rock shows in an effort to garner attention, and when he fails to do that he resorts to violently attacking the Daily Bugle and even threatening to murder J. Jonah Jameson. I wouldn’t be so alarmed by just how quickly Clash’s personality seems to shift if readers weren’t already experiencing this phenomenon with how Slott is writing Felicia Hardy/Black Cat in the main ASM book. Whatever happened to nuance when it comes to how villains are written? Not every “bad guy” who has ever appeared in a comic automatically resorts to hurting or murdering innocents and demonstrating a complete lack of reason or empathy. I always feel a bit squidgy when I’m clearly in the minority when it comes to an emotional reaction to a comic book series, and “Learning to Crawl” may be the farthest I’ve ever actually strayed from the majority. I don’t know what that ultimately says about my taste in Spider-Man stories, but it’s something I think about quite a bit as I continue to share my opinions on this blog for my modest, but clearly dedicated readership. As I said earlier, this series just isn’t clicking for me, and I think I’m just too far resigned into maintaining that opinion for there to be some kind of 11th hour miracle that will change my view on everything once I’ve read the final installment next month. So until that point, I guess I will continue on in the role I absolutely hate to play – cranky blogger criticizing comics. 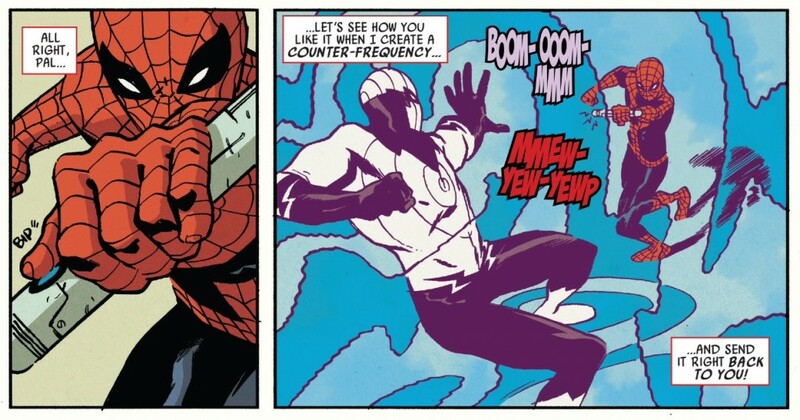 I feel like this series being written by Slott harms my enjoyment of it more than it helps. If it was written by Gage or one of the other writers that have contributed to the Spideyverse’s peripheral projects in the past few years, I could accept it on its own merits as a harmless untold tale released to capitalize on the relaunch of ASM and give new readers a glimpse at Silver-age Spidey. No harm, no foul. I just read through Zero Year a few weeks back and I have to wonder if that’s clouding my judgement as well. I know Slott can’t do the same thing with Spider-Man, but like you, I’m expecting something more substantial. I really think the biggest flaw with this series was setting it in-between established continuity. I know everybody (including myself) thought Chapter One was a train wreck but at least Byrne had the conviction to just write his own origin story… it just wasn’t good, in large part because the Lee/Ditko run is one of the best runs in comic book history. The year this is supposed to take place in confuses me to no end…. The 60s fashions while Clash uses YouTube and Bose Headphones… Might be nitpicky but it keeps pulling me out of the series. Shame it’s frustrating you, but I get why. I’ve been enjoying this series: first, because I LOVE the art (and sorta wish modern comics were still drawn in this way) and second, because I really enjoy reading about a young Peter in the early days of his career, and the early days of the Marvel Universe. For me, Spider-Man is most interesting as a teenager figuring out how to do the right thing. I guess I’m just trying hard to ignore the continuity and tone issues. I think I’m pretending this story is taking place on Earth 617 or something.